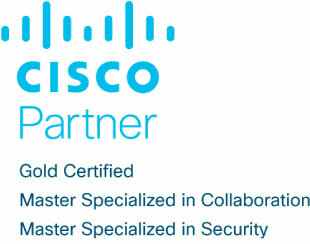 Cisco AMP for Endpoints is a cloud-managed, next-generation endpoint security solution that not only prevents cyberattacks, but also rapidly detects, contains, and remediates malicious files if they evade front-line defenses and infiltrate your endpoints—before damage can be done. Cerium will work with you to deploy the Cisco AMP for Endpoint connector in your environment to engage Visibility and Control for Breach Prevention, Detection, and Remediation. Cisco AMP for Endpoints uses a suite of different prevention techniques: a traditional antivirus inspection engine, machine learning, static and dynamic analysis of files (sandboxing), vulnerability monitoring, continuous analysis of file behavior, and retrospective detection. The connector software works with Cisco AMP cloud services to classify behaviors within your environment and show how the malware could have been prevented using Cisco AMP. Cerium will work with you to deploy the Cisco AMP for Endpoint connector in your environment. The Cisco AMP for Endpoint is designed to highlight malware threats that your organization may be exposed to. Click here to download our ebook for more information.